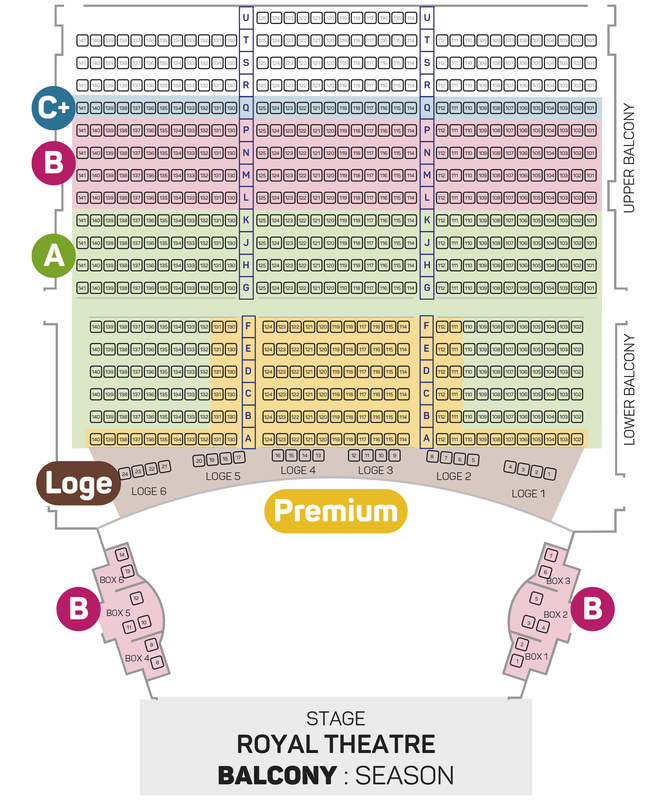 Seating plan for the Royal Theatre in Victoria. 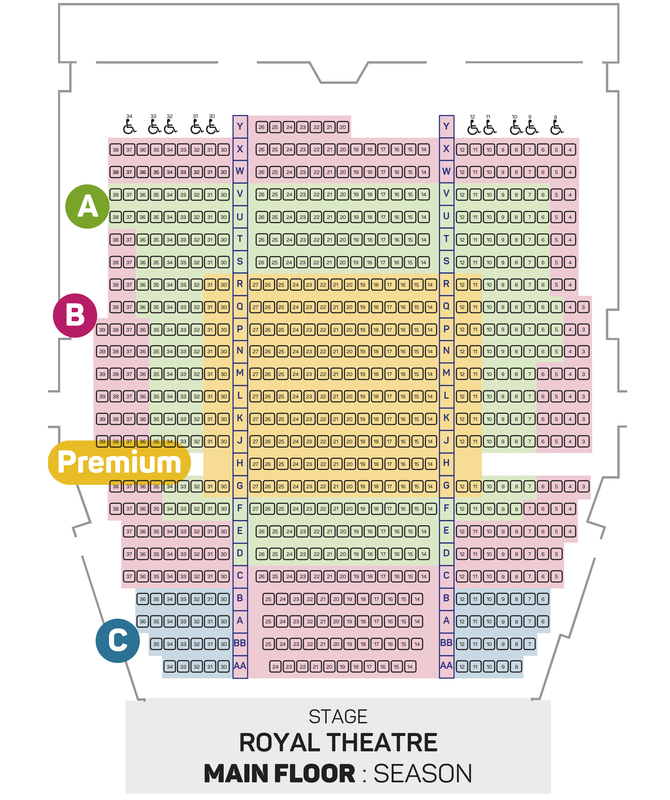 * This seating plan is an overview only. Subscribe ONLINE, or by PHONE 250.386.6121, or IN PERSON at the McPherson or Royal Box Office. Price is no longer an issue! Now you can see the world’s best dance for only 29 dollars. We’ve allocated 50 seats for every performance at the unbelievable price of only 29 dollars. Not a subscription package. Available for purchase starting Sep 3, 2019. If you are between 12-29 years old, you can pay your age. Advance sales only per performance. Call or go to the box office in person. Available for purchase starting Sep 3, 2019. If you are 30-45 years old, you can become a Night Mover for 49 dollars per performance (or only 57.25 dollars in A-category seating)!